The words inequality mathematics or simply means not equal - no really, check it out at dictionary.com, and (unfortunately) no - I don't get paid when you click on that. We're going to talk about the 5 basic symbols. Working with them is fairly straight forward. You treat them pretty much like you would an equality with one exception. If you multiply or divide both sides of the relationship by a negative, change the sign. > which means greater than. Lots of ways to remember this, something about alligators and crocodiles comes to mind. But, let's go with this method. Notice how the two lines start out far apart and join to a point. 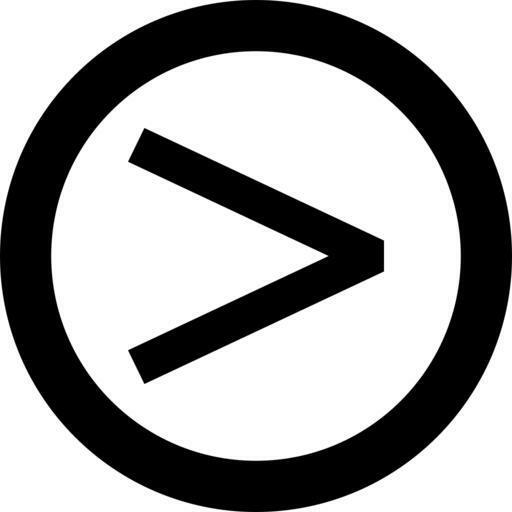 The distance between the points to the left of the symbol is 'greater than" the distance between the points to the right of the symbol. So, 8 > 3 says that eight is greater than three. Same thing with < - the points start out touching and then get farther apart. So the distance between the points starts out "less than" where they end up. So 3<8 means three is less than eight. But what if we're dealing with a variable? I'll sell you my car, but I'd have to have at least $500 for it. If the purchase price of the car is x, then x ≥ $500, or x is greater than or equal to $500. The single line under the greater than symbol makes the symbol mean greater than or equal to something. Of course there's a ≤ symbol as well. So, the statement x ≤ $500 means that the price will either be $500 or less. One more symbol, and that's not equal to. Hopefully you know the symbol = means that something is the same value as something else. Well ≠ means that it is not equal to something. If x ≠ $500 read - x is not equal to $500. It looks like we're not going to sell the car today. One of many frustrating advertisements states - "You can borrow up to $1000 or more!" What they are actually saying is, if x is what you're borrowing then x < $1000 which covers the "up to" part or x > $1000 which covers the "or more" part. So, they are saying they will loan you any amount except $1000. What if I want to borrower exactly $1000? To solve the problem 3 + x = 10, I would subtract three from both sides and get x=7. To solve 3+x < 10, I would still subtract three from both sides and get x<10. To solve 3-x < 10, I would first subtract 3 from both sides yielding -x < 10. Now comes the tricky part. I have to multiply both sides by negative 1 in order to change my -x to a positive x. But, if I multiply or divide by a negative number I have to change the sign. So I end up with x>10. Good question. Let's try it without variables and see what happens. This is always a good idea to make sure you are remembering a rule correctly. Try it with real numbers. 3 < 8, hopefully you're with me. Now, if I multiply both sides by negative 1 I get -3>-8! Did you see how that worked? We have to change the symbol if we want to keep it correct. Negative 3 is greater than negative 8. I'd rather owe 3 dollars than owe 8. Why? and how do I handle 3 expressions? Why do we have to bother with inequality mathematics. Sometimes you just want to know you have at least so much stuff and that it doesn't cost more than you have to pay for it. Inequality Mathematics is super easy - it's exactly like equality mathematics except for dividing and multiplying by a negative number. One more thing, what about the equation 5 < x + 2 < 12? Remember, anything you do to one side of an equation, you have to the other. This is still true when you have more than one "other" side. So, to simplify this equation we subtract 2 from all three places. 5 - 2 < x + 2 - 2 < 12 - 2. So, we end up with 3<x<10. Inequality mathematics just makes sense - if you understand regular algebra.